Written for Daily Hive by Samaa Abdalla. Tis’ the season for wheatgrass and goldfish! But you’re probably wondering why. On March 20 or 21 each year (depending on the year), Nowruz (also spelled Norooz or Norouz) marks the vernal equinox and commences the Iranian new year. Nowruz (pronounced “no-rooz”) is a 3,000-year-old tradition, which is spread across many days and events. Behind the culture of this event comes a lot of history. 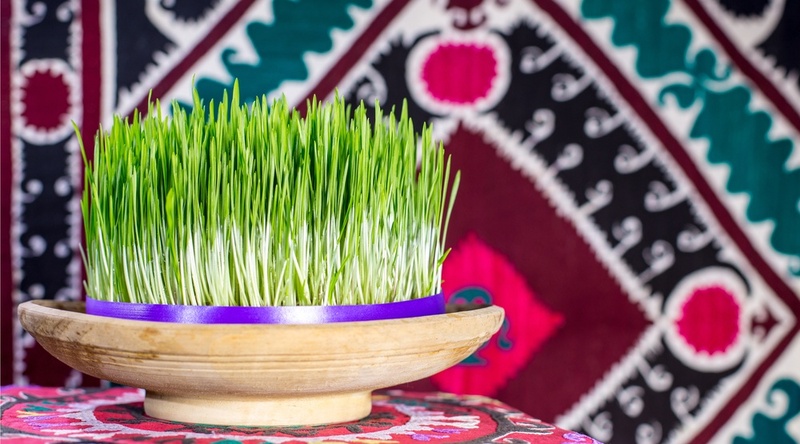 For starters, Nowruz means “new-day,” as it represents a fresh and new beginning. Around the country, and world, you’ll be seeing many events taking place with Iranians showing their national pride. Typically when it’s Nowruz, it is custom to visit each other’s houses to ring in the new year, bringing gifts like flowers, sweets, or pastries. Haft-Seen literally means “seven S.” During Nowruz, Iranians set up a special table filled with emblematic items, including the most important seven items beginning with the letter “seen” (S). Other complimentary settings such as goldfish, holy books, coloured eggs, and mirrors are often placed on the table as well. The Nowruz holiday time is to the East as the Christmas season is to the West. It’s a very exciting and joyous set of days that anyone can partake in, with the most memorable moments being setting up the Haft-Seen table, visiting relatives, and celebrating over a meal. The kids always enjoy it since they usually receive money as girts as well as being entertained by the iconic Haji Firuz, the bearer of spring who prances around singing and dancing with his tambourine. You don’t have to be Iranian to enjoy this holiday around the world. Take your family to one of the many events going on around your community and explore the fascinating traditions and unique customs of Nowruz. Embrace the culture, and don’t forget – Nowruz Mobarak!